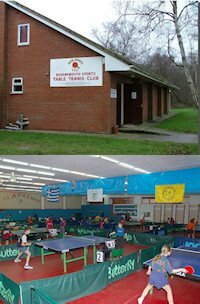 York Road Table Tennis Club. 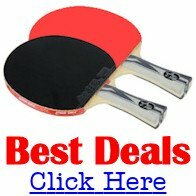 York Road Table Tennis Club is based in Dun Laoghaire, a seaside town about 12km from Dublin city centre in Ireland. The club was founded over 60 years ago, which might make it the oldest in the country. We operate out of two venues. The Seniors play in a hall that has four tables, clean warm surroundings, a wooden floor, and really good tungsten / fluorescent lighting. The Juniors train in a different venue with fourteen tables. We have about 18 senior members at present and about 24 juniors. We are competitively active through both sections. The seniors and some of the top juniors play league table tennis and local and national championships. We are also totally open to visiting other clubs and have them visit us. We have hosted and visited clubs from Belgium, Spain, Italy, England, Scotland and Wales. Any players holidaying in the area are welcome to visit us - no charge. Just let us know in advance of your intentions. Also if there is any club out there who would like to visit us, feel free to get in touch. Between the seniors and the top juniors, we can field a couple of relatively competitive teams. After all the best thing about our club is that we are very outgoing and sociable. We hold a monthly club doubles tournament plus a hard bat tournament and a Christmas tournament for all our players. Monday night is the seniors club night plus Wednesday, and Fridays for home matches. Away matches are as per the opposing team's nights. Juniors train on Tuesday and Thursday. We have 5 coaches in the club who work with the juniors but who are available to help with any queries from the seniors if required. Age profile in the club is within the group 16 to 70. There are 7 female players included in our membership.